For the record, I have super tiny hands. Merrily, Veaudry’s little number really surprised me in that a) it’s actually not that small so b) you’re really not sacrificing much extra time in exchange for the handy travel aspect. Now, to begin, let’s just get the elephant out the room and answer the first question my friends are going to What’s App me – ‘How does it compare in size to a standard sized flat iron?’ I whipped out my ghd IV styler and was surprised that, even though Veaudry looks and feels teeny tiny at first sight, it’s actually not that small. Veaudry, I’d like you to meet ghd. The gold plates belong to the regular-sized ghd and the black are Veaudry’s. There aren’t any tricky dials to deal with. Just an on-off button. It heats up to 200 degrees. The floating ceramic plates are made using Tourmaline, a semi-precious stone that helps seal moisture into your hair due to the negative ions it emits. You get a one year guarantee. 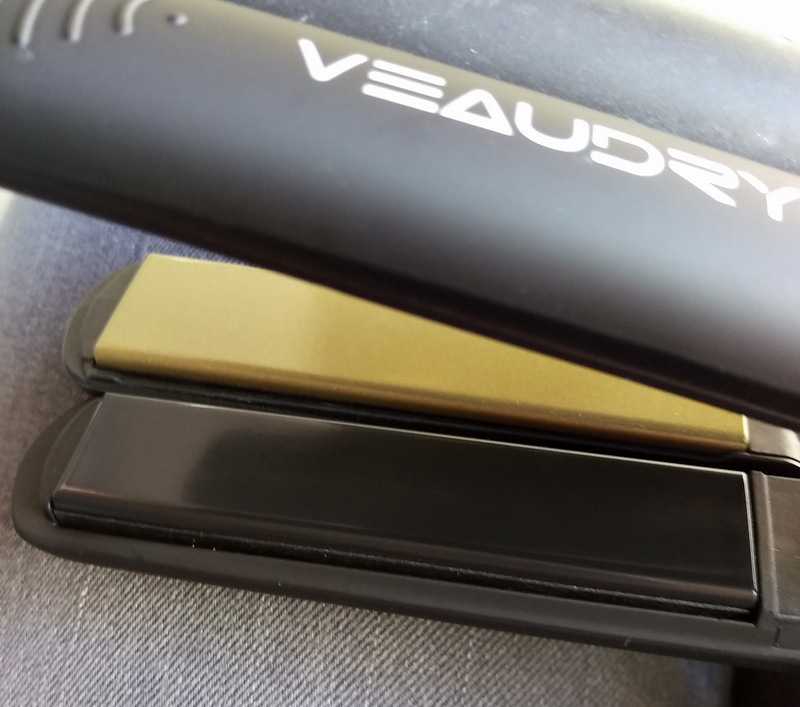 Veaudry says it styler heats up really fast but there isn’t a light that stops flashing on or a ‘beep’ that sounds to let you know when this happens. No biggie, but worth mentioning. After using the styler, I was impressed with how it did a good job of creating flicks. Still, as my hair’s already dead straight I couldn’t really test the straightening aspect myself so I popped on over to a friend who’s hair’s got a bit more of a curl in it. 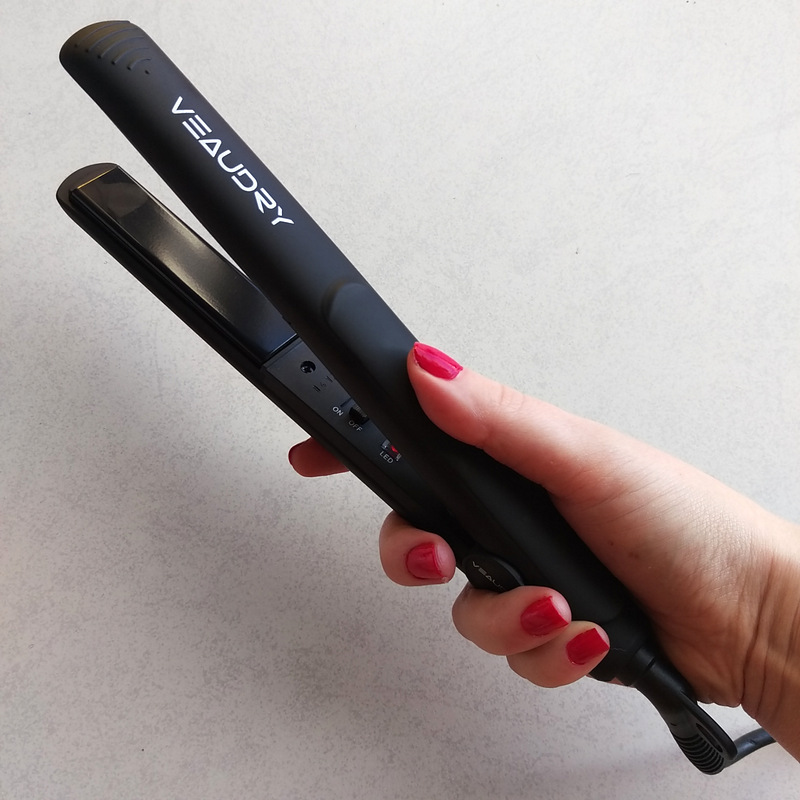 She thought it did just as good a job as her current styler, a Toni&Guy pro straightener with the same specs save for heating up to 230 degrees, having slightly larger plates and being, dare I say it, ‘clunky-looking’. In all, she was impressed too and says she’d happily consider Veaudry’s full-sized styler (she likes ’em big) should her T&G ever kick the bucket. 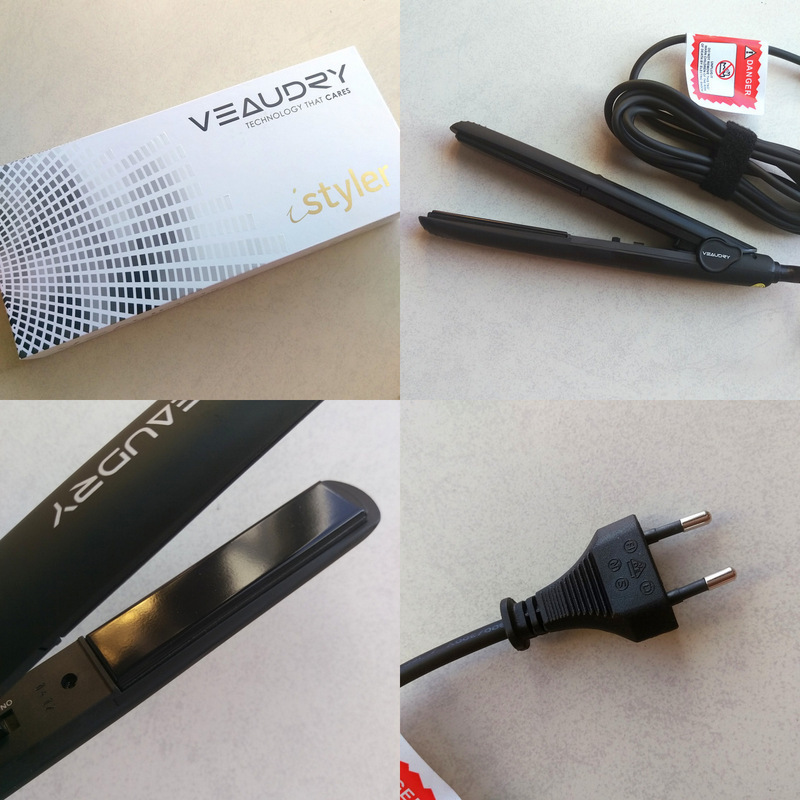 The iStyler features a 2-prong plug, in case you were wondering. 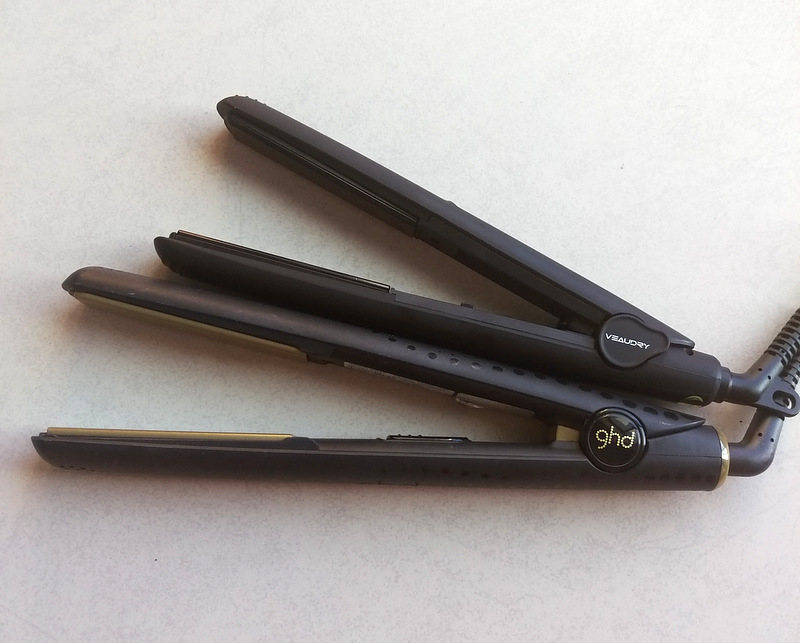 In all, this is a nifty great quality yet pocket-friendly styler for anyone who’s on the go and doesn’t have to spend too much of their time straightening. A great purchase for women with shorter hair as well men who don’t need to own a big kahuna but still want something that serves up much of the same benefits of a big kahuna, if that makes sense. You have no idea how this post just saved me!! 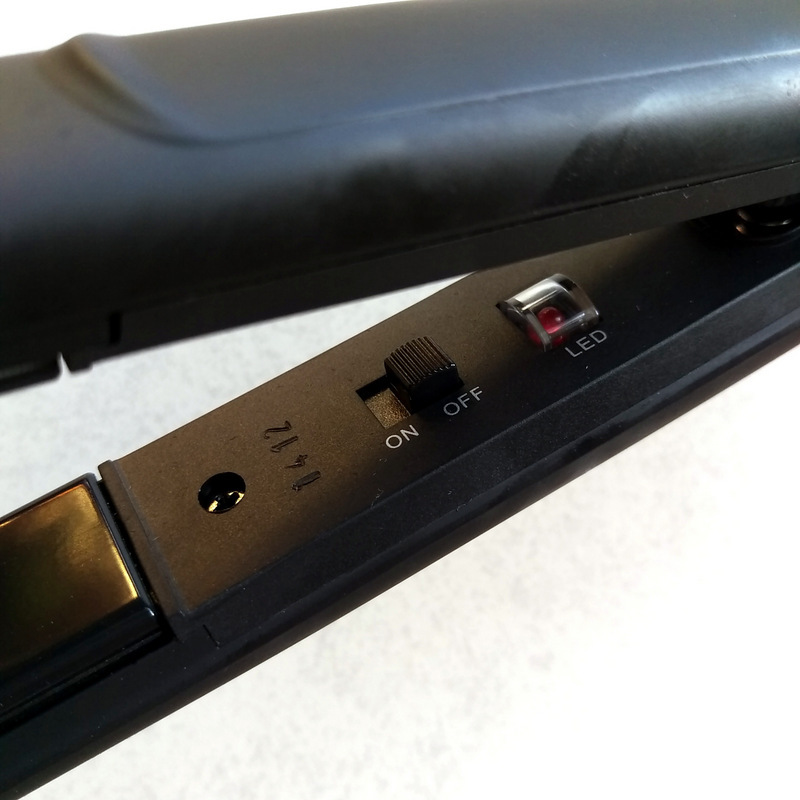 I was literally about to by the iStyler online but wanted to get a comparison with the GHD. This post answered all my questions, thank you!! !